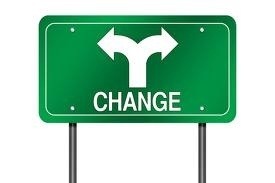 Purpose brings about transition and transition brings about change. It is impossible to execute your purpose without action. The dictionary defines transition as: “movement, passage, or change from one position, state, stage, subject, concept to another…” All-in-all, CHANGE is the most misconstrued, misdiagnosed, mis-conceptualized, overlooked symptom of transition. Oftentimes one of the most stifling things we can ever do is MISS the season of transition! This entry was posted in The Power of Transition and tagged attitude, bible, blessings, control, discover, expression, freedom, friendships, Holy Spirit, honesty, life, power, prayer, quiet, redefine, relationships, Spiritual, Transition on February 18, 2013 by "Ms. Gina". This week has been challenging week for me. Yes, I face days where I just want to give up and post my “Whatever!” sign on the outside of the door and sulk. Let me share a little confession to set the stage to where I’m going in this blog. Earlier this week I got knocked down pretty hard in my emotions and I stopped at McDonald’s and ordered a small fry and a chicken sandwich. As I was eating the food I felt guilty and embarrassed because I did not enjoy it at all and I was more upset with what was going on inside of me and wanted to avoid dealing with it. Afterwards, I stopped at the store and to my dismay I picked up a candy bar. Yep! I sure did! As soon as I got in the car I called one of my close friends and the first thing I said was, “I have a confession to make.” I proceeded to admit that I had bought a candy bar but at this point I am NOW aware that wasn’t the candy bar that I wanted but the need to feed what was going inside of me. I further went on to explain that I had stopped by McDonald’s and how I felt afterwards. What a relief it was to get that OFF MY CHEST! The reason I felt relieved is because I had to face the one thing that I used to avoid and that was ACCOUNTABILITY! I could have eaten the fast food and the candy bar (by the way, I did NOT eat the candy bar!) and no one would have ever known and it would have just been my little secret. I am accountable to what I put inside my body and in my strides to desire to be healthy I would have only been harming myself instead. I can not sit and write these blogs and bring awareness to obesity and encourage readers to be healthy if I am not honest with myself or you. No one wakes up one day and decide they are going to be 500 pounds. Something happens that sets an individual down this path and is totally consumed by food and the will to stop is overpowered. Although there are many reasons as I have explained in previous blogs that are underlying issues to obesity – there is still the factor of accountability. There may be factors that happen in an individual’s life that render this unfortunate circumstance but at the end of the day each individual is accountable for the choice that is made. I acknowledge the choice I made and also owned it and used it as a catalyst to move on! I didn’t stay there because I became accountable for my actions no matter what the offset was that led to it. That was not always the case in past times so I know that I am progressing. I give thanks to God because I am also accountable to Him, first! Let me share this with you: “So here’s what I want you to do, God helping you: Take your everyday, ordinary life-your sleeping, eating, going to work, and walking around life and place it before God as an offering. Embracing what God does for you is the best thing you can do for him.” (Romans 12:1, MSG) Please find someone who you can be accountable to when you fall or are falling so that you may be encouraged and truthfully face what is before you. Check your emotions. Ask yourself, “Why am I eating this?” More importantly, ask yourself, “Am I honoring God with my body?” My desire is to encourage you to avoid these pitfalls that I missed in hopes that you’re able to detect these triggers early on. We’ll revisit accountability again… I’m on a mission, will you join me!? *Please watch the video in its entirety by Yolanda Adams and I pray it encourages you as it has me. Don’t EVER GIVE UP! ~Blessings! This entry was posted in Trapped Inside of Me and tagged accountability, awareness, bible, challenge, encourage, esteem, family, fast food, fat, friends, God, love, music, obesity, prayer, support, weight watchers on January 28, 2012 by "Ms. Gina". Many times you may have heard the cliché “Let go…and let God!” It’s usually at a time when there is great frustration, disappointment, a trial, discouragement, heartbreak/ache, and etc. What does “let go and let God” really mean? What does it look like? If there is a special formula to it, then why don’t many of us practice it? I mean like REALLY, REALLY practice it — before things become too overwhelming and out-of-control — before we do ALL that we can do — before we reach the point of exhaustion? Do we really walk victoriously as we proclaim during the walk in the wilderness? Do we really trust God’s word that He will fight our battles? Do we believe wholeheartedly that He will never leave us nor forsake us? There will come a time that in our lives that we MUST move on…but it IS a process. A process that I am still learning to put into practice in my own life. Sometimes I get stuck…it depresses, suppresses, and oppresses and you can NOT move forward in the things you should be doing so there is a method to the madness! Confide in Someone – Don’t keep it all bottled up inside–talk to someone who will LISTEN and share solid, Godly counsel with you. “The heartfelt counsel of a friend is as sweet as perfume and incense.” (Prov. 27:9 NLT). Journal – Write out your feelings is another way to express how you feel. Pouring your thoughts out on paper will definitely free up clutter from your mind. Be as transparent as you care to be. This is YOUR platform! Wait! I guess you’re wondering…what about forgiveness? As Believers, we know that it is not an option. Forgiveness is a heart issue and a process within itself..Stay tuned for “Letting Go…The Process” Part 2 Forgiveness. This entry was posted in Letting Go and tagged brokenheart, forgiveness, freedom, friends, God, help, love, marriage, pain, prayer, recovery, relationship on June 24, 2011 by "Ms. Gina".